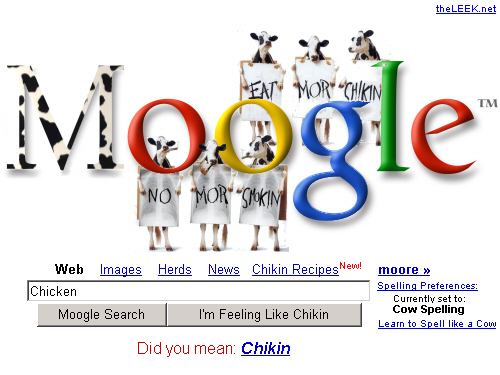 The Search Engine Giant, known for decorating its Google moniker with appropriately festive gear on holidays, recently saluted the three famous Holstein cows, mostly identified with advertising Chick-fil-A restaurants. The cows were commended for their relentless efforts in promoting the public's health, and for elevating the awareness of correct spelling (see image below). The three cows started their careers as models for the Gateway Computer Company. They later moved on to the famous Shareware site, tucows.com, where they served as the ‘two cows’ logo. Since only two cows were needed at any given time, they could share the work load, and dedicate more time for their favorite leisure activities, such as bobsledding. The ‘tucows’ workplace was also where the cows are believed to have picked their distinctive way of spelling. However, it wasn’t until the cows started working for Chick-fil-A, that they fulfilled their full potential. Besides advertising the restaurants, they starred in the action-packed movie “Chicken Angels: Full Cattle” (see separate article). 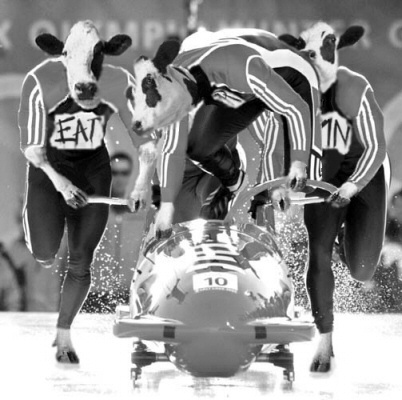 In addition, their bobsledding hobby has reached a professional level, allowing them to participate in several international events (see image below). 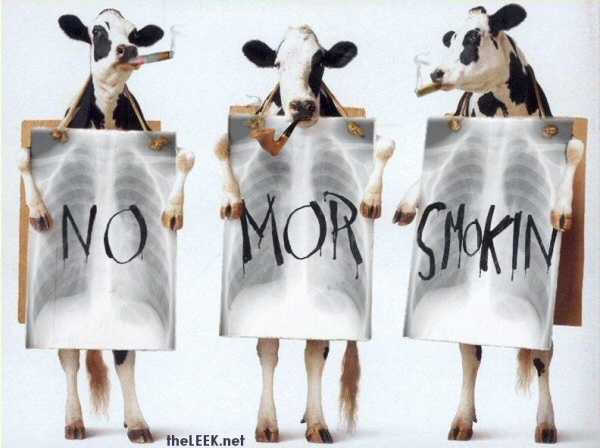 Last year, the cows decided to join the fight against smoking. To demonstrate the devastating effects of this appalling habit, the cows volunteered to constantly smoke for an entire month, after which the effects on their lungs were examined. This heroic endeavor was documented in the award-winning movie “Supersmoke Me”, produced by the legendary director Moorgan Hooflock. 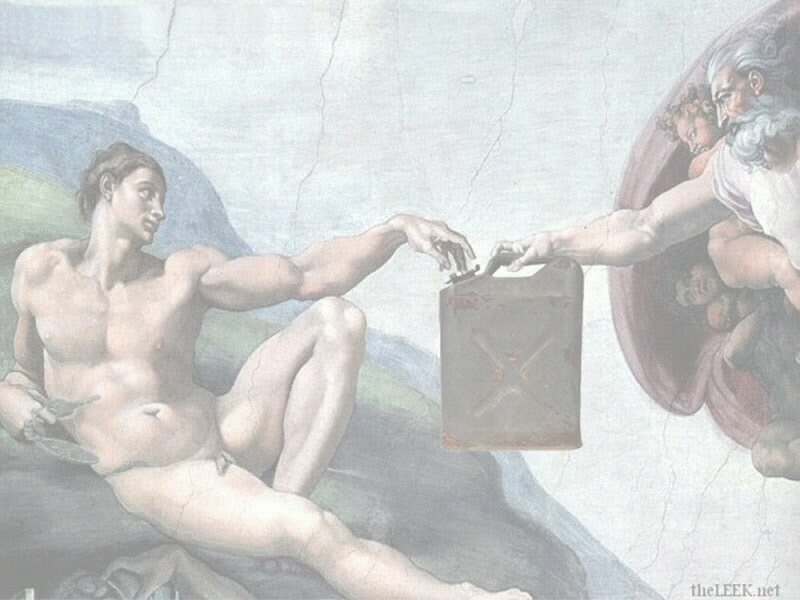 Another outcome of this effort was the famous anti-smoking ad campaign (see image below). The only opposition to Google’s tribute came from a group of chickens, lead by Ginger, star of the movie "Chicken Run", who turned to the "Chicken Lovers Club" for help and support . The resistance vanished after the hapless birds were invited for dinner, only to discover that they were the main course.